Long-range up to 2,000 or 3,000 ft. The Johnson Level MSHA Mining Long Range Alignment Laser is used by mining companies for operation of equipment that requires precise alignment to operate properly. It is intrinsically safe and MSHA (Mining, Safety & Health Administration) approved that do not require explosion proof containment. Can be used in above ground and underground operations and extremely rugged with 12mm optics for a small dot at a distance. Ideal for use when a long range is required. 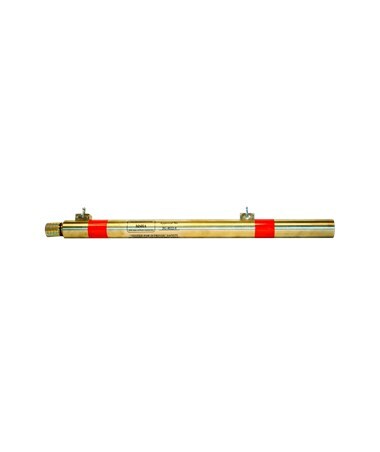 The precision beam alignment of Johnson Level MSHA Mining Alignment Laser Long Range has self-cleaning threads that do not require any tools. The laser beam is aligned to be concentric with the outside diameter of the brass housing, this allows the installer to use the outside of the case for centering and positioning the beam. The large optics is 20 times brighter than standard lasers with a range of up to 2,000 feet for Red beam and 3,000 feet for the Green beam variation. The "O" ring seal is water and oil proof to IP67 standards and the solid brass construction is proven to work in harsh environments. It also comes with a reflective film for headlamp illumination and an adjustable hanging brackets that connect to pads directly. The Johnson Level MSHA Mining Alignment Laser Long Range includes five "AA" alkaline batteries that last up to 85 to 100 hours of continuous use, an instruction manual, and 1-year warranty. 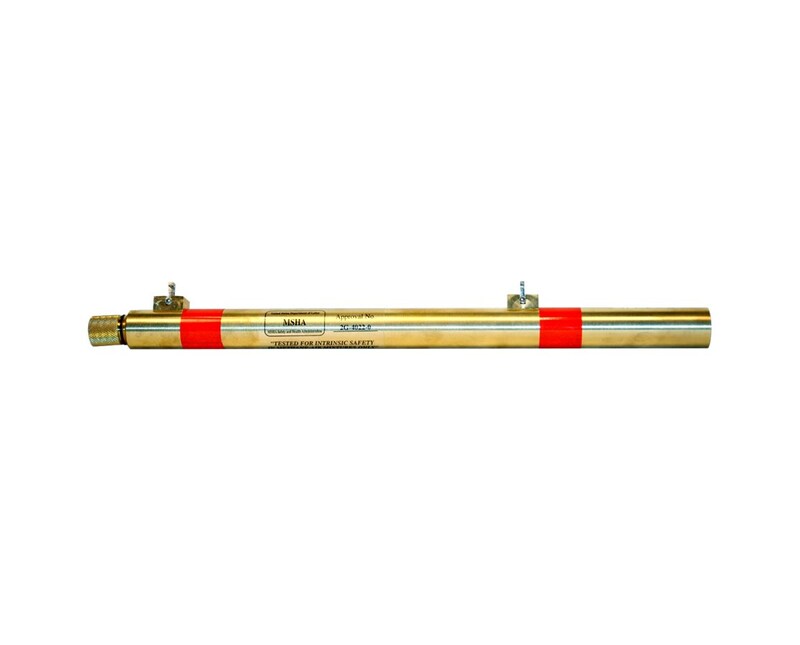 The Johnson Level MSHA Mining Long Range Alignment Laser is available in 2 beam colors. Select your preference from the drop-down menu above.